Most small business owners keep bookkeeping records because they have to, not because they want to. Said another way, they manage their firm's finances primarily for tax compliance purposes. But in so doing, they miss out on critical insights their financials can provide to help them grow their business. Of course it's important to maintain financials that accurately quantify your tax liability... and help you and your CPA minimize your tax bill. But don't stop there. Sure, most small business owners watch expenses on their income statement. And they keep an eye on the top line. But - to be frank - owners whose financial management activities start and stop there are blowing a golden opportunity. We get it. Every small business owner is busy selling and fulfilling orders and dealing with the crises that arise on any given day. Financial management is the last thing on their mind. But it's well work the investment of time and money for an owner to take the time to find out what a well managed finance function can teach them. A roadmap to profitable growth and competitive advantage lies waiting in their financial data, ready to inform and guide their future actions. Like the concept of taking control of your finance function, but not certain where to go next? Driven Insights specializes in taking over the day-to-day finance function. We produce ongoing game-changing, CFO-level insights in a grab-and-go dashboard format that is designed to inform your key decisions en route to accelerating your firm's profitable growth. 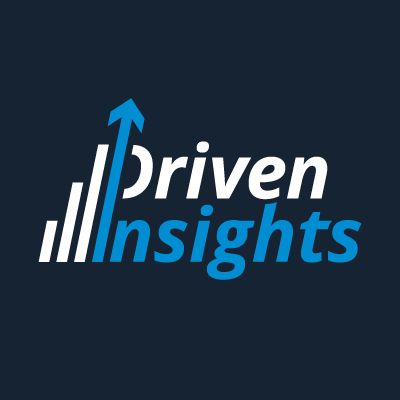 Reach out if you'd like to see if Driven Insights is right for you: info@driveninsights.com, 888-631-1124.